When venturing into the cloud, many enterprises prefer to build private cloud first. However, implementing a private cloud can be complex and daunting. 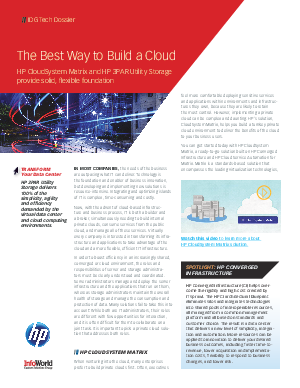 This white paper will guide executives on how to simplify the process through the HP's CloudSystem Matrix, so download now.